Love in the Hornet's Nest, by Ben Korgen, continues the hilarious romantics of Rudy and the world of Umptiscratch University and Sorghum High, in this highly anticipated second book. Hope Valley, RI, USA -- Ben Korgen's Love in the Hornet's Nest is part 2 of the 'Sorghum' series which left off with Rudy dodging his amorous landlady with some crazy matchmaking skills. When Rudy tries those same matchmaking skills to find the love of his life the results only get crazier. In part two of the Sorghum series, Rudy graduates Umptiscratch University in the spring of 1952, and he becomes the head football coach at Sorghum High School in Minnesota. The football team has lost every game for the past several years. Rudy is determined to turn around both the team and his love life. Where better to start the latter than with the beautiful cheerleading coach Parker Benson. Read all about Rudy's trial and tribulations in the world of romance. Of beauty lost and love finally found. Or is it? Author Ben Korgen has had a highly varied career. He served in the US Navy, earned a bachelor's degree at the University of Minnesota Duluth, earned a master's degree at the University of Michigan in Ann Arbor, then coached high school football, earned a PhD in Oceanography at Oregon State University and had a long and rewarding career in Oceanography at the US Naval Oceanographic Office, the University of North Carolina in Chapel Hill and Tulane University in New Orleans. 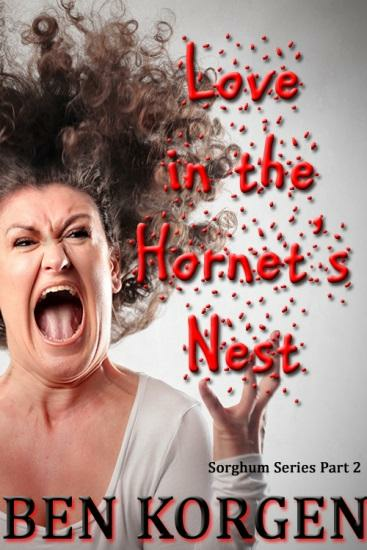 The ebook version of Love in the Hornet's Nest ISBN 9781506901466, published by First Edition Design Publishing (http://www.firsteditiondesignpublishing.com), is available on-line wherever ebooks are sold.